At the current rate of rainfall, when will your local reservoir overflow its banks? If you shoot a rocket at an angle of 60 degrees into a headwind, how far will it fly with 40 pounds of propellant and a 5-pound payload? Assuming a 100-month loan for $75,000 at 5.11 percent, what will the payoff balance be after four years? If a lab culture is doubling every 14 hours, how many viruses will there be in a week? Those sorts of questions aren’t asked by mathematicians, who are the people who derive equations to solve problems in a general way. Rather, they are asked by working engineers, technicians, military ballistics officers, and financiers, all of whom need an actual number: Given this set of inputs, tell me the answer. Before the modern era (say, the 1970s), these problems could be hard to solve. They required a lot of pencils and paper, a book of tables, or a slide rule. Mathematicians never carried slide rules, but astronauts did, as their backup computers. However, slide rules had limitations. They were good to about three digits of accuracy, no more, in the hands of a skilled operator. Three digits was fine for real-world engineering, but not enough for finance. With slide rules, you had to keep track of the decimal point yourself: The slide rule might tell you the answer is 641, but you had to know if that was 64.1 or 0.641 or 641.0. And if you were chaining calculations (needed in all but the simplest problems), accuracy dropped with each successive operation. Everything the slide rule could do, a so-called slide-rule calculator could do better—and more accurately. Slide rules are really good at few things. Multiplication and division? Easy. Exponents, like 613? Easy. Doing trig, like sines, cosines, and tangents? Easy. Logarithms? Easy. 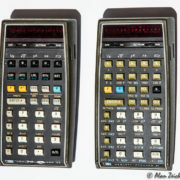 Hewlett-Packard unleashed a monster when it created the HP-9100A desktop calculator, released in 1968 at a price of about $5,000. The HP-9100A did everything a slide rule could do, and more—such as trig, polar/rectangular conversions, and exponents and roots. However, it was big and it was expensive—about $35,900 in 2017 dollars, or the price of a nice car! HP had a market for the HP-9100A, since it already sold test equipment into many labs. However, something better was needed, something affordable, something that could become a mass-market item. 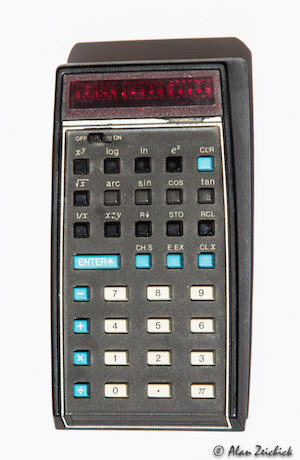 And that became the pocket slide-rule calculator revolution, starting off with the amazing HP-35. If you look at the HP-35 today, it seems laughably simplistic. The calculator app in your smartphone is much more powerful. 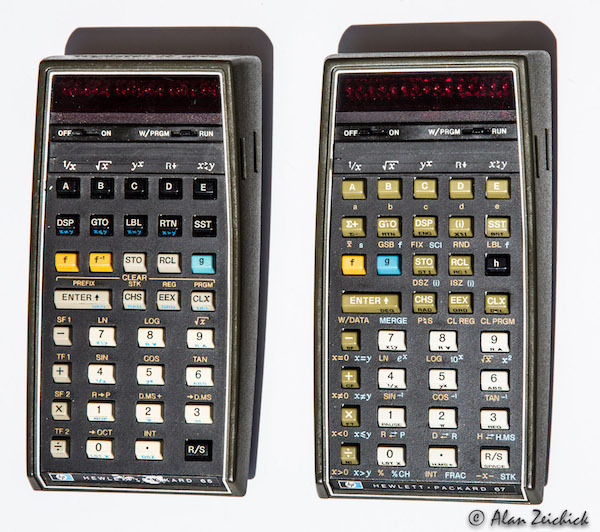 However, back in 1972, and at a price of only $395 ($2,350 in 2017 dollars), the HP-35 changed the world. Companies like General Electric ordered tens of thousands of units. It was crazy, especially for a device that had a few minor math bugs in its first shipping batch (HP gave everyone a free replacement).